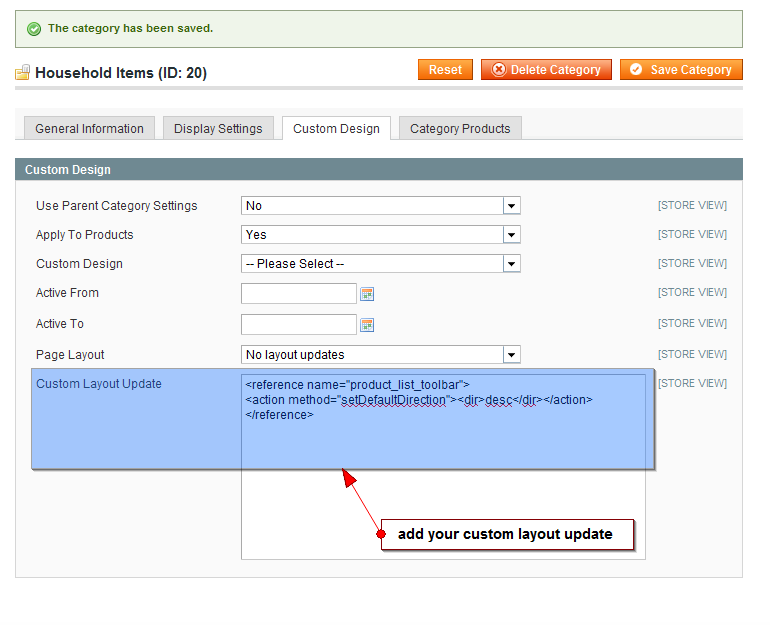 That works on Magento CE 1.4.2.0 and 1.5.0.1.
so can update anything trough your “local.xml” file. I wanted to add my own handle, but that was requiring rewriting existing CategoryController class in my new module which I needed to create and configure, and I said it seemed very simple task. Keyword is CATEGORY_20, 20 is id of category. How can I do the same with M2? Magento 2 has different codebase. Is it possible to add layout updates to individual pages within a category? For example to display 4 products on the first page, then 12 products per page for the rest of that category? @verdan…that will show me just 1 product but i want to have all the products of the category shown with its options. @ verdan- can u tell me how? Is there any way to show the PRODUCT OPTIONS of configurable products in the category page? Hi, any idea how to change the category display mode for selected categories using xml layout updates? Default setting is ‘grid’, but I need to change it to ‘table’ for selected categories. I use your Slide categories extension with EM Computer Store template. The template comes with magento 1.4.0.1 version. 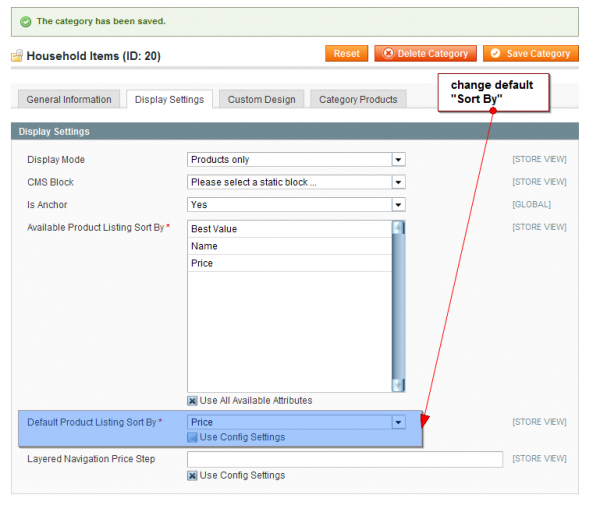 I am new in magento but I update my magento 1.5.0.1. And I reinstall the extension. It is working in frontpage. The menu catalog -> Featured Products also work but in settings panel the site says 404 the site not found error. Are there any solution for this. Thank you for this wonderful extension. Yeah, have you guys looked into why those layout updates don’t work, I don’t get it and didn’t have a lot of time to figure it out, so I did the same thing as you.